Language is the skin of the soul. NATE 2017 - the place to be! Today I am going to write about a huge conference, an important event in the ELT world that is XXIII NATE - Russia International Convention and English Language Expo. 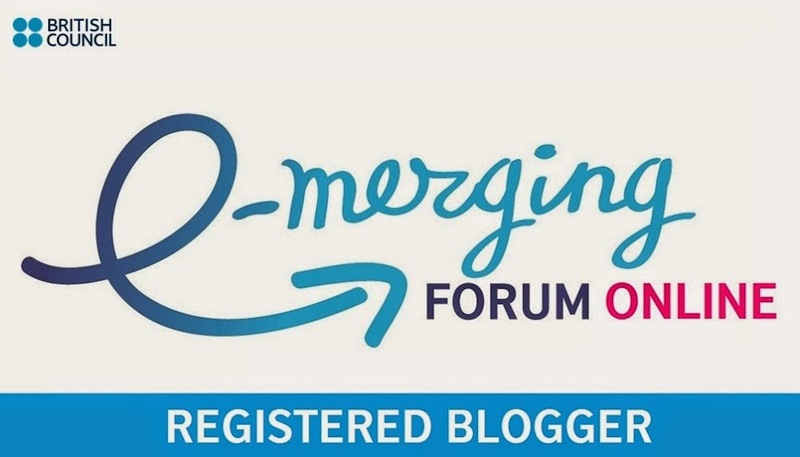 Those of you who follow me online and read my blog posts (which now come out not as often as I wish they would😒) remember how excited I have always been about E-merging forum which used to be held in Moscow every year. You can find my blogs about this event here. 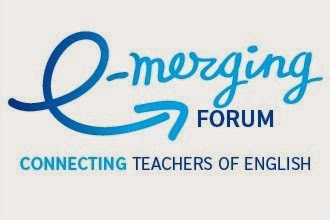 I must admit I was feeling quite upset when I found out that E-merging forum in Moscow won't be held anymore. However, as they say "every cloud has a silver lining" and I was forced to look for other interesting ELT events that are organized indifferent cities of Russia as well as taking part in organizing some of them in my native city of Yaroslavl (Summer School). I love taking part in different conferences, workshops, online courses both as a speaker and a participant. I can't say that all of them always meet my expectations. I also do regret afterwards if I don't manage to take part in some of the most interesting events face-to-face (that was the case with Trendy English Games). So today I would like to invite everyone who wants to be aware of the new trends in ELT, who would like to meet amazing professionals face-to-face, get to know some of their brilliant ideas,those who would like to meet new people, make useful contacts and who would like to do it here and now and not to regret about missed opportunities later. This season the place to be is XXIII NATE - Russia International Convention and English Language Expo. I can't deny it, I was contemplating for quite some time whether or not I should take part in it. All of us, teachers, know that being away from home will mean missing teaching hours and finding substitute teachers for our precious students. Not all teachers are willing to make such a sacrifice. However, when I looked at the list of Keynote Speakers of this conference, my doubts disappeared. It is not only the keynote speakers who are so remarkable, look at the programme (you can download the Tentative programme here) and see for yourself, there are so many wonderful workshops to choose from. It is not the event to be missed! I said to myself: "It's worth the sacrifices, I have to be there". Every event is about the atmosphere, about people, about new knowledge that can be later applied in teaching. I am looking forward to meeting the teachers I have known for some time and making new contacts. If you haven't yet registered for XXIII NATE - Russia International Convention and English Language Expo there is still time to do that, registration for the event is open till May 25. 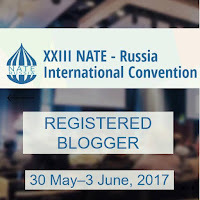 I am going to be a registered blogger for the event, so keep an eye on my blog and follow the event on Facebook and Twitter (#NATE2017). Hope to see you in Moscow in less than two weeks! What was E-merging forum 5 like? What will the participants of the forum remember about it? It was a magnificent event where we listened to the sessions, took part in discussions, were creative in discussion groups. We were taught to relieve stress, to teach very young learners, to assess in the right way, to use technology, to lead a healthy lifestyle and many more important things. We enjoyed singing, reciting poetry, making short videos, networking with fellow teachers, making notes and taking photos, tweeting, answering and asking questions, getting prizes, winning the lottery and doing plenty of other exciting activities. I have tried to collect the most memorable quotations of the forum. I hope you will find the ones you enjoyed and they will remind of good times during E-merging forum. Social networks posts, my notes and photos taken during the forum were used to compile the list. Feel free to add more quotes in comments. Let’s start. What were the buzz words of E-merging forum 5? I have counted just several and the winner here is the name and ideas of Vygotsky. His name was mentioned and the reference to his legacy was made in every other sessions during the forum. Blended learning and Flipped classroom have definitely been among the most frequently used words at the forum. The terms “digital visitors” and “digital residents” have come into use now instead of notorious “digital immigrants” and “digital natives”. Very young learners, grammar, pronunciation, assessment – all these words were heard here and there during the forum. 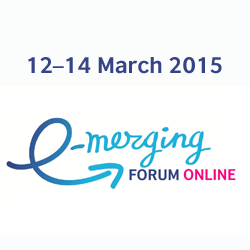 And what are your top ten buzz words of E-merging forum 5? And now let’s recollect some precious moments of E-merging forum 5 while reading the most expressive quotations used by plenary and parallel sessions speakers. 1) “What a child can do with assistance today, she will be able to do by herself tomorrow”- Vygotsky (used in the plenary session of Malgosia Tetiurka). 2) “The best time for learning a foreign language is between 2 and 12” – Critical Period Hypothesis (from the plenary session of Herbert Puchta). 3) “Humans are unable to learn a foreign language to a native-speaker standard after the age of puberty” Critical Period Hypothesis (from the plenary session of Herbert Puchta). 4) “Language learning is about risk-taking,”-Herbert Puchta. 5) “Storytelling conveys values, not just content,”-Herbert Puchta. 6) “Young learners learn by doing,”- Malgosia Tetiurka. 7) “Learning L2 should be fun, though it does not always equal engagement,”- Malgosia Tetiurka. 8) “Teachers should aim for engagement of their learners, not just “fun for the sake of fun”,- Malgosia Tetiurka. 9) “A teacher that can be replaced by a machine - should be”,- Sir Arthur Clark (used in the plenary session of Malgosia Tetiurka). 10) “It turns out … that engineers show, philosophers argue, biologists find and linguists suggest” Hyland (used in the plenary session of Steve Kirk). 11) “Assume that your students know something and allow them to use what they know, engage students as ‘real’ people”,- Jack Scholes. 12) “Every person has the innate need to tell stories”, - Svetlana Kuznetsova. 13) “Digital stories are mini-movies”, - Svetlana Kuznetsova. 14) “21 century will be the century of the humanities or there will be no such a century at all”, - Claude Levi-Straus (used in a plenary session of Vera Zabotkina). 15) “We don’t stop being Russian when we write in English”, - Vera Zabotkina. 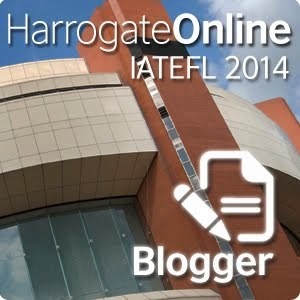 16) “We need to teach language in context, not in co-text,”- Steve Kirk. 17) “There is nothing more suspicious than a foreigner speaking your language the way you do,”- Svetlana Ter-Minasova. 18) “Cultural mistakes are never forgiven,”- Svetlana Ter-Minasova. 19) “ ‘Asian’ has bad connotation, ‘European’ has good connotation, but that is not fair either historically or traditionally…We are now more disliked by Europeans and more liked by Asians,”- Svetlana Ter-Minasova. 20) “I had two thoughts at the same time and now I lost them both,”- Svetlana Ter-Minasova. 21) “It’s an admirable idea to teach people about their own country,”- Svetlana Ter-Minasova. 22) “There is no learning when you are relaxed,”- Vygotsky. 23) “When we learn with emotion, we tend to remember best,”- Jack Scholes. 24) “4 billion people use smartphones and only 3,5 billion people use a toothbrush,”- Rimma Chaldymbaeva. 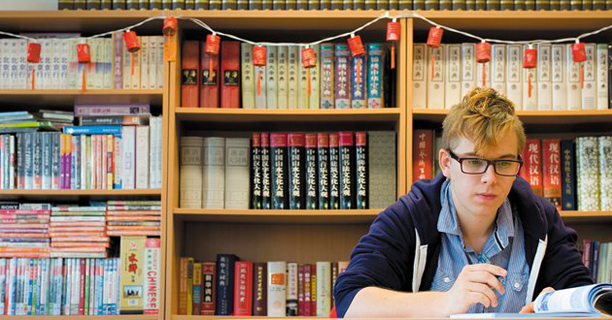 25) “You can and should laugh when learning,”- Jack Scholes. 26) “You learn more when you are relaxed and have calm mind,”- Jack Scholes. 27) “I don’t hate Russia. I don’t hate Russians. I love them,”- Jane Allemano. 28) “My blackberry isn’t working”. - a hillarious video used in the panel session of Alla Nazarenko. 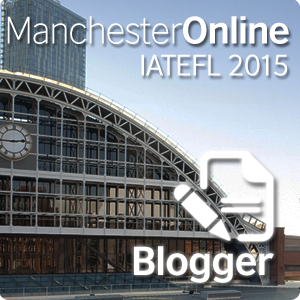 29) “Not a sage on the stage but a guide on the side” – the role of a distance learning teacher,” – Alla Nazarenko. 30) “A teacher is a guide who inspires, motivates and excites the students,”- Alla Nazarenko. 31) “The average life is approximately 28 000 days,”- Brenda Roche. 32) “Exercising has a huge impact on mental health,”- Brenda Roche. 33) “We are what we repeatedly do”,- Aristotle (used in the webinar of Brenda Roche). 34) "The only thing that really matters in your life are your relationships to other people,"- George Vaillant (used in the webinar of Brenda Roche). 35) "Things that matter most must never be at the mercy of things that matter least,"- Goethe (used in the webinar of Brenda Roche). 36) “If you are a stunning teacher, you’ll be loved by every creature,”- Young Learners group presentation. It was an amazing E-merging forum. Many nice memories! Will be waiting for the recordings now to be able to bring back nice moments of the forum while listening to plenary talks again. Before coming to E-merging forum 5 I came across this blog post of Anna Loseva . The idea seemed very interesting and I decided to learn more. It was my luck that the topic of Anna Loseva’s E-merging forum 5 session was about Flashmobelt. So what is Flashmobelt and how can it be used by teachers? It is a collaborative project for teachers from all over the world to share their favourite activities and to use the activities offered by other teachers. There are a few rules that should be followed for the activities to be considered acceptable for Flashmobelt. They should be generalized and adaptable for various contexts. They should be easy in terms of preparation and technology and easy to model, explain and use. Ideally they should be short and shouldn’t be centered around specific materials. The idea is to provide opportunities for sharing and networking between teachers in different countries. It is usually said that teachers feel isolated and might get depressed when left one on one with their problems. 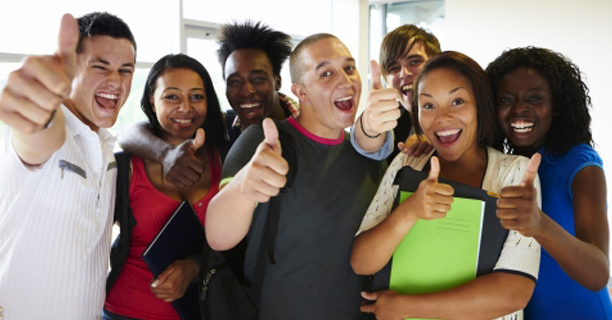 Reaching out and communicating with fellow teachers, giving a helping hand and trying out something new – all this can be achieved by participating in Flashmobelt. However, this project is not only about sharing and using the activities, but also about reflecting on how they went in this or that classroom. Reflections on the activities can be written as blog posts on the blogs of the participants. Flashmobelt is aimed at bringing teachers closer and thus motivating them to be better teachers and in a way making their life easier. In her workshop at E-merging forum 5 Anna Loseva showed several activities from Flashmobelt in action. 1) Love or hate. The teacher asks the students to make pairs and choose the person who will either love or hate the suggested objects or concepts. After the decision is taken, the teacher gives the topic. In the workshop the first discussion point was March. So a person who chose either to love or to hate March should be speaking for a minute and giving reasons to prove their point of view. Then it goes on and the students switch roles. This activity provides students with the stimulus for freer speaking practice. It is interesting, motivating and fun. During the workshops the list of points for discussion consisted of these: March, March the 8th, Friday, Friday the 13th, etc. 2) Writing now. The next activity which was demonstrated was connected with Writing practice. The teacher divides the class into groups and gives the beginning of the sentence to complete in as many ways as possible. At the workshop the sentence was “English teachers in Russia….”. The students work for 1-2 minutes writing their variants and teams with the most creative answers get points. Usually teachers prefer to leave the Writing tasks for homework. This activity is not very time-consuming and is simple enough to be done in class. It won’t take up too much of classroom time. Anna Loseva gave some statistics concerning Flashmobelt. There are three boards with activities now including 40 activities shared by 40+ teachers from all over the globe. 8 blogs have been written so far reflecting on the classroom experience of using Flashmobelt activities in class. The Lino board with activities looks like the board with stickers of different colours. A teacher can choose a yellow, green, red or blue sticker, write their activity anf stick it to the wall. At the end of the session Anna invited all the teachers to share one of their favourite activities which can be included in the project. The description of Flashmobelt and the link to the Lino board can be found on Anna Loseva's blog. I am going to explore it and possibly to take part in it and you? The minute I saw Jack Scholes I knew I had already seen him somewhere. Little by little came understanding that he was once a speaker in Yaroslavl some years ago and his talk was a hit back then. This time there were so many people willing to take part that the Hall just couldn’t fit them all in. Jack started speaking from the back of the hall. Why? At the beginning of the talk we didn’t know. But later on we found out that one of the tips Jack gave to teachers was to "do things in a different way, break away from routine" which was nicely illustrated at the beginning of the talk. I expected to be having fun but I couldn’t even imagine how much fun this talk was. Contrary to the ideas of Vygotsky about ZPD where “learning can’t take place when you are relaxed” Jack Scholes argues that “you learn more when you are relaxed and have calm mind”. I think different approaches work for different people but the practical activities that Jack showed in the session persuaded me that his ideas were probably right. One minute meditation was just what was needed. We were asked to close our eyes, to focus on our breath, notice our sensations, calm our mind and meditate. A nice exercise here can also be “breathe in what you want and breathe out what you don’t want”. It was very nice. I learned about a method of ”think-pair-share” when a student is given a question and asked to think for a moment, then to talk about it to a person nearby and then share the findings with the group. Such method makes sharing ideas less stressful. There were a number of activities shown in practice by Jack which were interesting and it was not possible to stay outside of it and not to participate. The activities demonstrated involved a kinesthetic element. Usually I find it difficult to come up with kinesthetic activites and so this was a nice example. For instance, asking the students to stand up or raising a hand when the answer to the question is"Yes" and stay seated if the answer to the question is "No". Physical activity should be included in the class because we all lack it in real lives and because it adds fun to learning. During the second day of the forum I made a number of discoveries which I am eager to share here. 1) Online coverage. I was a strong believer that if I am at the conference I have to stay in the main hall and see the speakers live. It does not matter how many people are there in the same Hall or how far from the speaker the seat is. I believed I should strive to be in the middle of the crowd. My first experience of watching a plenary speaker through an online coverage while actually being at the event proved me wrong. It is much more convenient to be comfortably seated in a not so crowded hall and listen to the talk while seeing the speaker on the screen at a close distance. It does not make it less exciting, I would say on the contrary. That was a surprising discovery of Day 2. 3) Practical ideas and personal stories make the talk vivid and memorable. There is so much to absorb at the forum that it is next to impossible to remember everything. What stays in mind is what makes an impression. Something practical and something personal in a talk is always valuable. That is how I chose my favourite sessions of Day 2 – those which were practical and contained some personal life stories are my choice.